Learn about how Dr. Popovic collaborates on treatment plans and the relationships he builds with his patients. 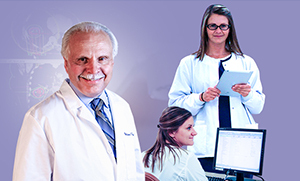 Meet Dr. William Popovic, a medical oncologist. Why did you decide to practice in Belleville? He and his wife decided they wanted to move back to the Midwest, and his wife is from Granite City. 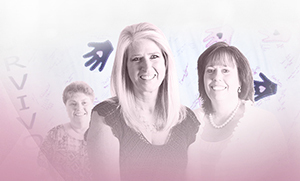 Does the Breast Health Center offer the same level of oncology care as other providers? From the medical oncology perspective, the Breast Health Center follows certain treatment guidelines from larger organizations. So, Dr. Popovic feels you can be diagnosed and treated close to home. Can you talk about how you collaborate with other doctors and surgeons at the Breast Health Center? Many conversations take place between Dr. Popovic and the surgeon and the radiation oncologist. After that, if they decide there is going to be some sort of systemic treatment, they also need to coordinate with radiation therapy and chemotherapy. What are some of the concerns patients have? The number one is, "I have cancer." And it is a scary term. Every woman is different so he doesn't try to categorize them. He has to be able to listen to what their concerns are. After seeing patients, he always tries to steer the end of the conversation to talking about something else...something that happened in his life or their lives. And that conversation is different depending on what stage he is seeing the patient in. Some patients have been coming back for an annual follow up for 30 years. They become friends.